At Restoration, a Messianic Synagogue in Seattle, we want to do our part so that God may show Himself to all people. Paul, writer of most of the New Testament, who was a trained Rabbi and devout Jew, wrote in his letter to the Romans, “For I am not ashamed of the Gospel, because it is the power of God that brings salvation to everyone who believes: first to the Jew, then to the Gentile” (Romans 1:16). The simple explanation of the Gospel is that God sent His son, Yeshua, to offer Himself as a sacrifice that would pay the penalty for humanity’s sins. Yeshua, after being put to death, rose from the dead three days later, and defeated death as a punishment for sin. If one believes in Yeshua, they can find the forgiveness of their sins and the ability to live with God forever after they die. God’s desire is for every human being on planet earth to understand this message. Our synagogue’s mission is to lead people to become fully devoted followers of Yeshua. Yeshua is not just a good teacher, Rabbi or Jew who said wise things. He is the “visible image of the invisible God” (Colossians 1:15) and we want to follow Him and the things He has asked us to do. The word “become” is very important because it speaks to the never-ending process of developing into better followers of Yeshua, along with learning and understanding the things of God. The name of our synagogue, Restoration, speaks to the idea that God is always, consistently, calling people to return to their Creator and find restoration in all that God has made them to be, both Jews and Gentiles. 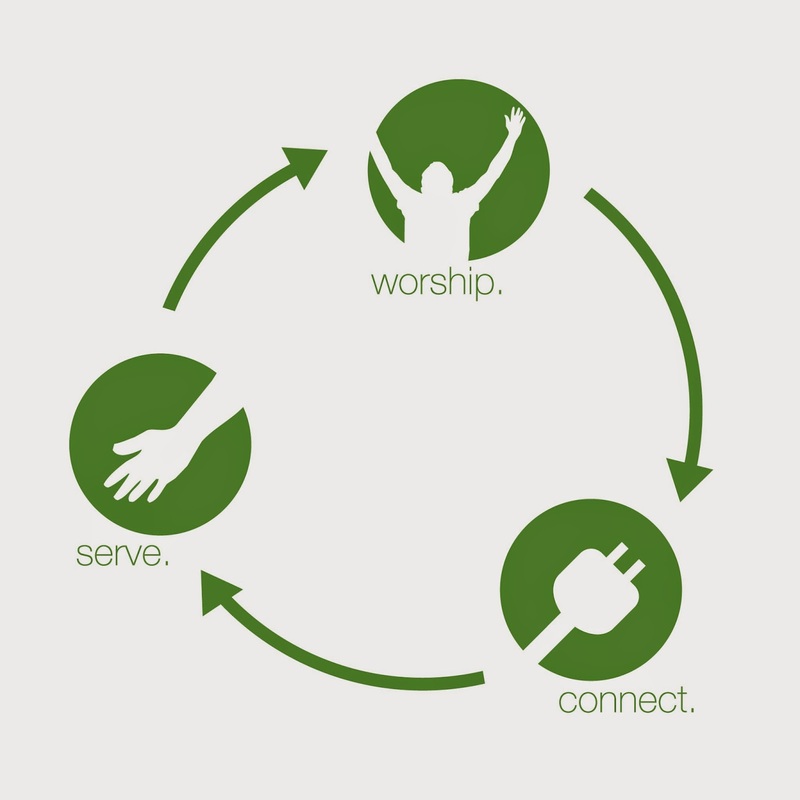 This is reflected in a three-step process that we want to lead everyone through: Worship. Connect. Serve. We believe that God is One and yet three-in-one: Father God, Yeshua the Son, and the Holy Spirit— and He alone is worthy of all adoration, veneration and honor. You were made to worship the One True God. Worship is recognizing who God is and who you are in Him. Worship is the first step in becoming a disciple of Yeshua. We worship Him together on Shabbat, during the holidays and in every event. Everyone belongs in the family of God. Part of belonging is connecting to community. We believe you can’t do life alone and that you need community around you during the week to thrive. Serving in the congregation and using our gifts and talents is important for every follower of Yeshua. One way we demonstrate God’s love is through volunteering in our synagogue and in our community. This three-part process is just that, a process. As we gain more understanding, we then lead others through the same process. We are always learning more about what it means to worship God, connect with others, and serve our community. Every congregation has values that make them distinct. Restoration is not in competition with other Messianic synagogues or Bible-believing churches in Seattle. We are on the same team with any congregation that is leading people to Yeshua and believes that He is the way, the truth and the life, and that no one can get to God expect through Him. We have six core values and they are what we care about most at Restoration. We choose, to reflect the Jewishness of our Messiah, Yeshua. We are unapologetically a synagogue and unapologetically worship in a Jewish context. As a synagogue we worship on Shabbat, meet for Biblical Festivals, keep varying degrees of Kosher, and sing in Hebrew and English. Some wear kippot and Talliot. We do not believe that we are right about everything and that everyone else is wrong, or that others are in sin for not being more like us. We partner with other Messianic synagogues and churches that share a love for Yeshua and people finding Yeshua. Really, everyone. Jew and Gentile, male and female. Everyone. The family of God is big and God put us in our physical families so that we can find His family. All of us belong to the same family and worship God together. At Restoration, Jews are Jews and Gentiles are Gentiles. There is no need for Jews to become Gentiles or Gentiles to become Jews. Every person, with their family background and history, is called to be a representative of their people in the Family of God. God wants people from every nation, every tribe, every language and we mean to reflect that in our synagogue. We are all sinners and all fall short of the glory of God. That is the power to the story of Yeshua. His love is not measured by your goodness. Every time we sin, every time we fall short, every time we have a setback, is an opportunity for us to return to God. This is reflected in the Biblical idea of Return. God is always calling people to return to Him, Our Creator. We run, we turn away, we fall into sin and things that are opposed to God, but in His grace and mercy He says, “Comeback, return to me!” (Hosea 14:1, Joel 2:13, Zechariah 1:3). We realize that, for many, giving seems irrational. God has given us so many resources, including money, gifts, talents, and time. We believe it all belongs to God and that He wants us to be irrationally generous with those resources. For us, we give of our money because God gave it all to us and it really all belongs to Him. We believe everyone should tithe to the community that they belong to. Tithe literally means “a tenth” and above our tithe is called offerings. In the Scriptures, the definition of offering is what you give after you tithe. You cannot give an offering unless you already tithe. Restoration currently gives 11% out to non-profits in Seattle and Israel, and we plan to increase our giving. Because we want as many people as possible to hear the message of Yeshua in its Jewish context, we give it away! Our sermons will always be free. Our Restoration App for smartphones and tablets (iOS, Android, Windows, Kindle Fire) will always be free. God’s love for us is demonstrated in the giving of His son’s life for ours. As an expression of God’s love we want to serve our synagogue community, Seattle (our city), America (our county), Israel (Homeland of the Jewish people), and the world. We give of our time and talents to our synagogue because we believe together we can change the world. Actually, you can do life alone, but it is not a part of our original design. We were made for community. Contrary to the typical American dream, our lives are not just about us. Our lives were designed by God to be shared with others. We choose to live in community with others. We choose to not do life alone. We choose to let others into our journeys, into our hurt, and into the joys of life. We choose to share this messy life with others. And we believe that God wants to speak into our lives through community. Want to know more, visit us at ShalomSeattle.com!